Pedro has returned from another successful ibex hunt with his father! Pedro who lives in Spain reached out to us at the very beginning of Building KUIU willing to support and help this brand become something special. On his own, Pedro has built a loyal customer base in his country. Pedro and our great Spanish customers and guides continue to spread the word of KUIU. I am so grateful. In this process Pedro and I have become very good friends and he shares his hunts with me, which are stunning. 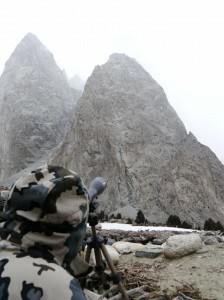 He has sent me great photos and the story of his hunt that he went on with his father in Pakistan recently. 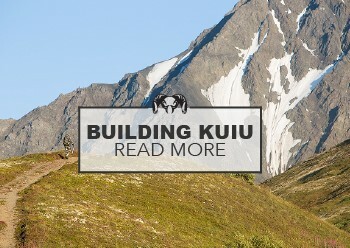 I hope you will enjoy it as much as we at KUIU do. For more hunting stories from Pedro and his team, visit his blog at http://adventurousbowhunter.wordpress.com. I look forward to sharing his next hunt with you all. Our hunt started in Islamabad, the capital of Pakistan. 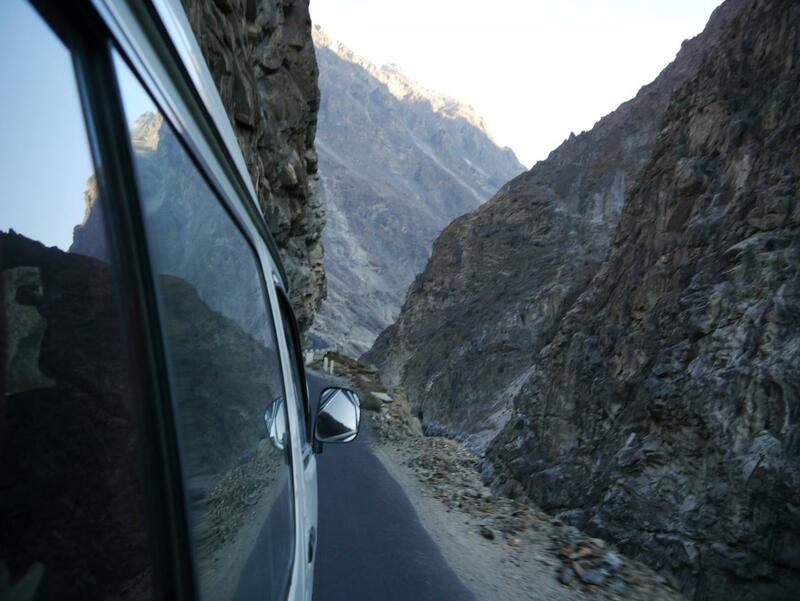 We drove along the Karakoram highway for three full days: a 14 hour drive to Chilas, 12 more hours to Skardu, and after 9 more hours we finally arrived to Hushe, which was going to be our home for the following week. The Karakoram highway is probably one of the most amazing roads to be driven in the world. 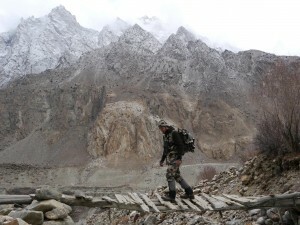 It goes breaking the mountains along the Indus River, which divides the three largest mountain ranges in the world, the Himalayan, the Karakoram and the Hindu Kush. As you can imagine the sightseeing was unbelievable. The mountains were so vast that the sun light just appeared only for a few hours at midday. In Pakistan there are 5 peaks over 8000 meters: the K2 (8611 m), the Nanga Parbat, the Gasherbrum I, the Broad Peak, and the Gasherbrum II. One of the coolest things about this place is the mountaineering tradition. 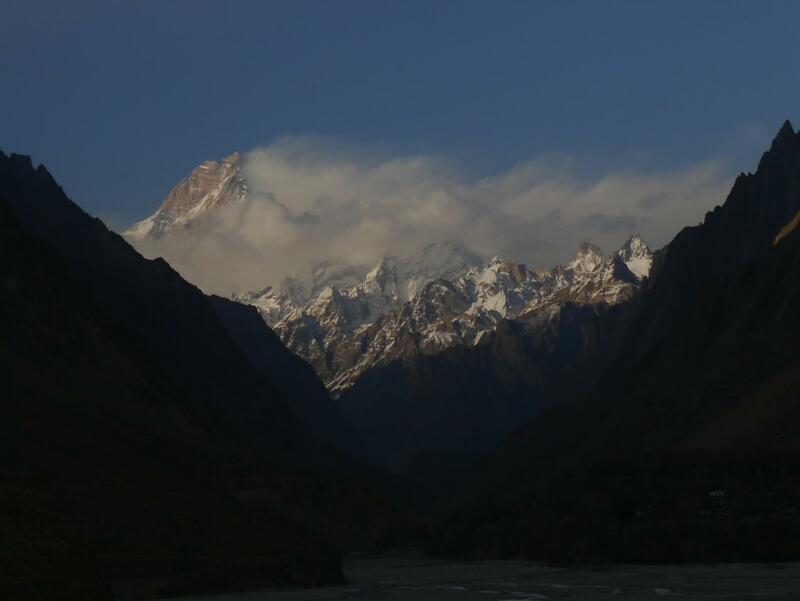 Hushe is one of the villages from which mountaineers start their trip to the base camps of the K2, Broad Peak and Gasherbrum I & II. Actually, most of our guides had made summit of some of these peaks, which proves their courage and deserves the best of my admiration. Speaking with our guides about their expeditions to those peaks reinforces why some of us love and respect the mountains and its challenging hunting. Although by this time of the year there are normally several feet of snow in the valley, this year there was not an inch. These strange climatological circumstances caused the ibex to be higher up in the mountains than usual, which supposed a huge limitation to our hunting capabilities since the mountains are tremendously technical, and ropes were needed everywhere. I have never seen mountains going up so steeply! We started every hunting day walking from the village supported by the following team: a main guide, a specialist in climbing and an interpreter. Sometimes some more people joined us. I suppose it was the most interesting stuff to do in the village, so everyone was willing to participate. We didn’t climb high because the mountains could get very dangerous. Instead, we glassed from the river in the valley looking for accessible ibex for stalking. I really regretted my lack of climbing experience, so I am determined to learn some basics soon for our next trip. The weather was pretty good, except from some foggy days in which you could barely see the ibex on top of the mountains. The temperature was pretty low, reaching around -20º degrees Celsius in the camp. The Spindrift layer was definitely a must, in addition to three Merino 250 layers. Try to wait for several hours glassing a group of ibex, you can freeze up there. It was a bit frustrating to see the ibex, knowing that we could not reach them safely. 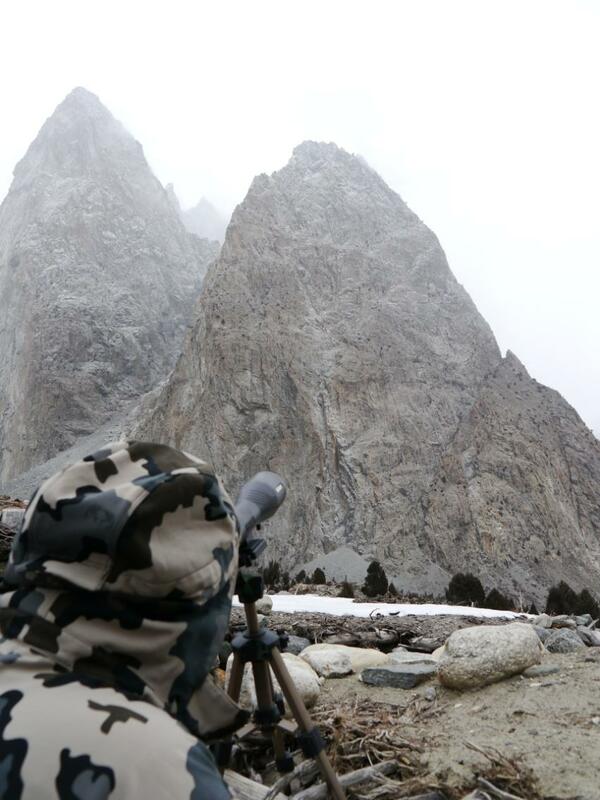 Although, in mountain hunting patience is the key for success, we finally got our opportunity. Dad once again did not let it pass by, and put two wonderful shots into this nice ibex after a few hours stalk. Feel proud one more time! This is when the fun part started. It was time to bring the ibex down from the mountain! 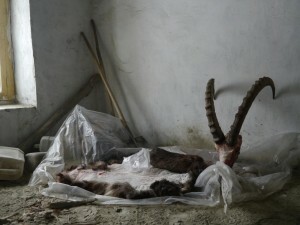 With one ibex down it was time for me to try to shoot another during the remaining days of the hunt. Surprisingly, the organization (Karakoram Trek and Tours) didn’t obtain the second permit as promised, even though we had paid for it in advance. We lost two days of hunting trying to solve their huge “accidental mistake”. They wanted more money from us and that was definitely not the deal. The result was that we had to leave without being able to hunt a few more days for a second one. Leaving us with a bitter sweet taste in our mouths after what seemed to be the hunt of our lives. But you always have to look on the bright side of life! 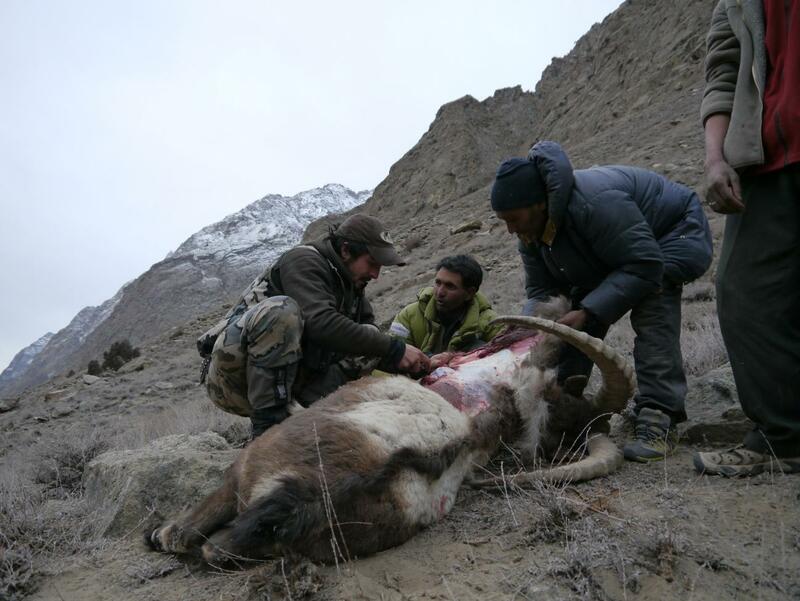 We were taking home a Himalayan Ibex and an amazing experience with us! 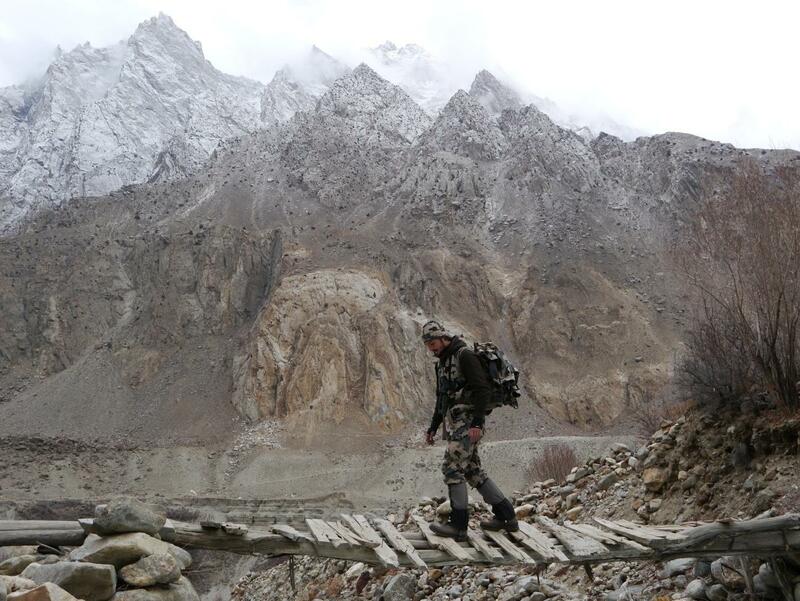 The trip back hom e was a little more complicated, since the army stopped us, because there was some shooting in one of the towns of the Karakorum highway and the road was blocked. We finally made it by plane, and stayed a day to walk around Islamabad and Rawalpindi. Security measures in the hotel were huge, but we didn’t feel any danger when visiting the city. The saddest part was to see a country with so much poverty everywhere which spends around 80%-90% of their budget in the army. For sure, another adventure that we will never forget! Good luck to everybody in the mountains! And thanks for your kind comments in the ibex photo report. Wow! What an amazing story! I love reading them, Thanks for posting Jason and thanks for sharing Pedro. Congrats on an amazing Ibex! Thanks for everything Jason, a pleasure!!! And thanks also for your kind comments. You can check more pics at.. The blog will be running next week, join the adventure! Congrats again Pedro, enjoyed all the photo’s and thanks for sharing the hunt with us. Real pity about the screw up with the Tag. But a great hunt and adventure. Excellent story. Is it fairly common to run into those issues with your guides not bringing the proper permits? In asia usually things dont work as planned! Always an adventure. It is sad, but its the only way. Excellent Ibex, Pedro! Congrats to your father. Thanks for sharing! Thanks all for your comments! it is a pleasure to share the stories with such a great bunch of people. Many happy returns ! Very interesting story ..Indeed there was enough time to get anather Ibex .. However you are most welcome if you plan for near future ,for Blue Sheep or Ibex ..
We have very experienced guides and we make sure the best services.